The striking Day of the Dead celebrations provide the backdrop to a dazzling pre-credits opener for Spectre, the follow-up to the most successful Bond entry yet. Director Sam Mendes, who returns along with star Daniel Craig, tries to match pitch thereafter but is let down by an uneven and bloated script. Driven by a message from the dead, Bond (Craig) defies orders set by M (Ralph Fiennes) to track down the man behind the villainous network responsible for many of his past obstacles. It’s a sprawling affair; the requisite exotic locations included as Bond’s rogue pursuit sends him on a worldwide chase for payback and answers. The script, firm and arresting at first, loses its edge as the writers try to tie together threads from previous films. A clever idea in theory, it’s packed with more holes than payoffs. As a result, Spectre doesn’t have a whole lot of its own to offer, caught up in nods to the past instead of focusing on the future. The new characters – Léa Seydoux’s Madeliene Swann for one – are shortchanged and the overall threat feels minimal. No matter how action-packed or handsome it is to look at, the main takeaway is that Spectre is tired and underwhelming. I’m seeing a ton of mediocre reviews of this one. It seems like expectations were too high after Skyfall. For whatever reason that one really connected but historically Bond movies are so up and down and this is not one of the “ups”. 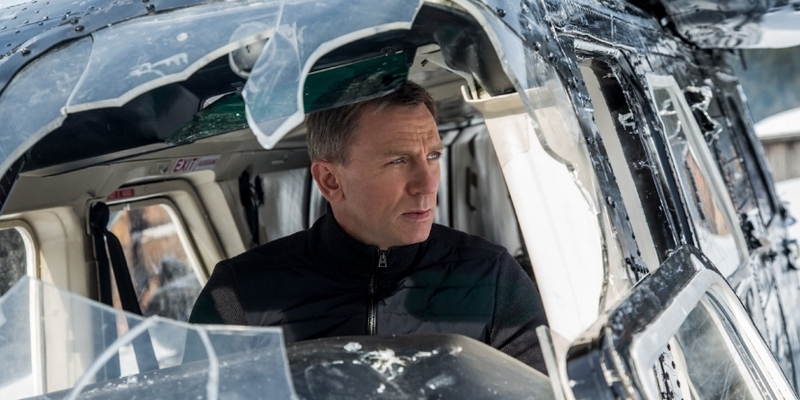 I didn’t think Spectre was terrible but it doesn’t bring anything new. I definitely agree about the nods to the past weighing it down though, that’s a really good point.